The Salvo Law Firm has a national practice devoted to the defense of debt collectors, debt buyers and collection attorneys who are sued pursuant to the Fair Debt Collection Practices Act (“FDCPA”), the Telephone Consumer Protection Act (“TCPA”) and the Fair Credit Reporting Act (“FCRA”). We have handled literally thousands of single-plaintiff matters and class actions in federal courts nationwide. Some matters are quickly settled — usually at lower settlements than our clients were used to achieving with other FDCPA defense attorneys. Or, if our clients do not wish to settle, we put on a vigorous defense. Plaintiffs’ counsels take us seriously — they know we are not afraid of battling it out in the courtroom! In addition, to help prevent FDCPA litigation, we assist our clients in FDCPA compliance by drafting or reviewing collection letters, telephone scripts and training materials. The head of our FDCPA Defense practice is the founding partner, Cindy D. Salvo. Ms. Salvo has earned a national reputation as a preeminent authority on the FDCPA. She was chosen by the New Jersey State Bar Association (“NJSBA”) to be its “on camera instructor” for a new FDCPA webinar series. In addition, she is the author of the FDCPA Defense section of the NJSBA’s 2014 treatise, “Collection Practice in New Jersey.” Ms. Salvo is a frequent lecturer on the FDCPA for the National Business Institute’s Continuing Legal Education series. Ms. Salvo’s articles on the FDCPA have appeared in numerous publications including Collection Advisor and the New York Law Journal. The firm is a member of ACA International, an international trade organization of credit and collection companies. The Telephone Consumer Protection Act (“TCPA” or the “Act”) was enacted to prohibit, among other things, autodialed and/or pre-recorded telephone calls to cellular telephone numbers. The Act allows individuals to file lawsuits on behalf of themselves individually, or class actions, to collect damages for having received these unwanted telephone calls. If successful, a Plaintiff may be entitled to a remedy of $500 to $1,500 for each telephone call received. In most cases, the numbers of calls are in the hundreds or thousands and in some class actions, the number of calls can even be in the millions. The Salvo Law Firm has defended both individual and class action matters in federal courts nationwide. Some matters are quickly settled while others are vigorously defended. Our firm has successfully defended TCPA actions by litigating various aspects of the Act. For instance, the Plaintiff may have had a contract with the original creditor whereby he/she agreed to an arbitration provision or a class-action waiver provision, and we may be able to get the case dismissed at an early stage. In other cases, we have litigated the issues of whether our clients’ dialers are Automatic Telephone Dialing Systems (“ATDS”) as defined under the TCPA; whether the consumer had provided his/her consent to be contacted using an ATDS; and whether the calls were placed willingly or knowingly – which provides for treble damages under the Act. Since many of these TCPA actions are filed on a class-wide basis, The Salvo Law Firm has defended these actions by opposing class certification. In particular, class action cases require that class-wide issues predominate over individual issues. In some cases, Courts have denied class certification finding that individual issues predominate over class-wide issues, most notably the issue of whether the consumer(s) provided their consent to be called using an ATDS. 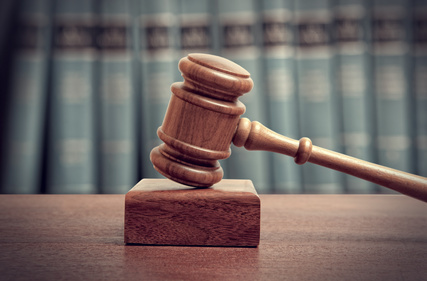 Due to the upswing in recent litigation, the case law surrounding the TCPA is changing. In addition to defending TCPA lawsuits, The Salvo Law Firm provides our clients with recent developments in the law and guides our clients in complying with the Act.